It's getting harder to feed a family these days. The U.S. Bureau of Labor Statistics said overall food prices rose 0.4 percent in February, the biggest increase since September 2011, while beef prices have hit the highest price on record, Paul Davidson reports for USA Today. "Droughts, unusually cold winter weather, rising exports and a virus outbreak in the hog population are among the causes of food inflation, which is expected to accelerate in 2014." Grocery store prices are expected to increase as much as 3.5 percent in 2014, up from 0.9 percent last year. Porcine epidemic diarrhea virus has killed about 6 million pigs, reducing the herd by 10 percent, leading prices to rise 6.8 percent during the past year to $3.73 a pound in February, Davidson writes. Steve Meyer, president of Paragon Economics said "he expects the smaller inventory to boost per-pound prices to $4 by summer." Poultry prices increased 4.7 percent last year. Milk rose from $3.46 a gallon in October to $3.56 in January because of a surge in exports to Asia, according to consulting firm Advanced Economic Solutions, Davidson writes. "Retailers have been hit by a 36 percent wholesale price increase since December, and prices could rise another 25 cents to 50 cents this year." Girls from rural areas are more likely to get better grades than boys and are more likely to attend college, according to results from a study by The Center for Rural Pennsylvania, the organization reports in its March/April newsletter. The 10-year study followed a group of students from 11 rural school districts, who at the time the study began were either in seventh-grade or high school juniors. The study found that 75 percent of girls in the seventh-grade group received As and Bs, compared to 65 percent of boys. More girls, 68 percent, went on to a four-year college, compared to only 57 percent of boys, while 27 percent of boys had a high-school degree or less, compared to 19 percent of girls. "The move prompted anxiety among landowners and threats of defiance from politicians in the bird’s five-state habitat," Wise writes. "They worry the listing could wreck havoc with the area’s economy by limiting land use and raising regulatory costs." Anticipating the move, Kansas lawmakers already have a bill pending that "would prevent the federal government from protecting the lesser prairie chicken in the state by declaring any federal law related to the bird null and void," Wise writes. "The bill, which passed the state Senate 30-10 on Feb. 12, makes it a felony for any federal employee to enforce the bird’s threatened status." Tennessee Gov. Bill Haslam's bill to fight methamphetamine makers and dealers, by limiting sales of cold medicine containing pseudoephedrine, was approved Wednesday by the House Criminal Justice Committee. The measure, which is expected to pass the House but could run into problems in the Senate, would limit the purchase of tablets to 48 a month and 240 a year without a prescription. Some senators have said they want to require a prescription for purchases, or declare the medicine a controlled substance, but "House Majority Leader Gerald McCormick (R-Chattanooga) said he would pull the bill back from a final vote rather than allow a prescription requirement," Chas Sisk reports for The Tennessean. Telemedicine is a strategy that can be used to help prevent and treat Alzheimer's disease, especially in rural areas, where the disease comes sooner in life, Dr. Gregory Jicha, clinical-core director of the University of Kentucky's Disease Center, said today at the fourth annual Appalachian Translational Research Network Summit in Lexington. While mortality rates for prostate cancer, breast cancer, heart disease and HIV are going down, the rates for Alzheimer's are going up, and by 2020, it is estimated that 5.6 million Americans could be affected by it. Rural areas have higher incidents of the condition, and the onset of dementia averages four years younger in rural areas than in urban areas, Jicha said. The university's Telemedicine Cognition Clinic offers appointments that involve video interaction with patients and caregivers in remote areas. In rural areas in general, telemedicine can be particularly helpful for patients who live great distances from the nearest specialist. "I cannot drive to Paducah and fill an entire clinic every week," Jicha said. But he explained that he can "travel" to a different city every hour and provide care to patients. "Telemedicine really is the wave of the future," he said. During telemedicine appointments, medical experts can talk about the patients' history, administer cognitive tests, and even observe patients walking or performing tasks to diagnose them. The goal of the program is to provide high level care and cognitive evaluations in rural areas by partnering with primary care physicians and clinics in rural areas, Jicha said. Another important aspect of the growing program is education, both for patients and for physicians. Alzheimer's disease has no sure, but some risk factors associated with it—such as hypertension, alcohol use and depression—are treatable. If rural residents had better access to specialists who can detect the early symptoms of the disease, its onset could be delayed. The conference was a forum for hundreds of research efforts. Among the topics discussed during the conference were the connection between physical fitness and academic performance in children, and environmental enrichment to promote healthy aging brains. Todd Gress, a professor at Marshall University in Huntington, W.Va., presented a study about a pilot test of a text-message reminder system to advance diabetes awareness, compliance, and education—particularly in remote areas where cell phone service might be unreliable. The advancing telemedicine strategy and these other research agendas should serve as a reminder that gifted researchers are searching for ways to improve rural health. Such conferences "represent the best of what's happening out there in the world of universities and the world of communities," UK Provost Christine Rirodan told one session. She said the Appalachian gathering "represents the passion of people who are dedicated to solving these problems" in the region, "which require a great deal of collaboration to solve. . . . They're not small problems." Following the trend of shrinking rural areas and growing urban ones, metropolitan-area populations rose by 2.3 million people from July 1, 2012 to July 1, 2013, with 289 of 381 metro areas seeing an increase in population, according to statistics released Thursday by the U.S. Census Bureau. The report only focused on metro areas, micropolitan areas (those that contain an urban cluster of between 10,000 and 49,999 people) and counties with populations of more than 250,000. The overall U.S. micropolitan population did rise by 8,000 people from 2012 to 2013, but 306 of the 536 micropolitan counties (57 percent) lost population. The fastest growing micropolitan areas are mostly located in areas where the oil industry is booming, such as Williston, N.D., and WIlliams County (Wikipedia map). Williston, in the heart of the Bakken Shale boom, saw its population rise in 2010-12 from 14,716 to 18,532, and it is estimated to have risen another 10.7 percent in 2012-13, making Williams the fastest growing U.S. county. Dickinson, N.D., was second in 2012-13 micropolitan city growth, at 5 percent, followed by Heber, Utah, 4.4 percent; Andrews, Tex., 4.1 percent; Minot, N.D., 3.1 percent; Vernal, Utah, 2.9 percent; Weatherford, Okla., 2.9 percent, Hobbs, N.M, 2.9 percent; Woodward, Okla., 2.8 percent; and Elko Nev., 2.8 percent. While it didn't make the top 10 in percent of growth, Dunn, N.C., had the largest numeric increase, growing by 2,855 people from 2012 to 2013. That's good news for the Dunn Daily Record, perhaps the only daily newspaper in America with all-local content. Drug manufacturers appear to be on board with proposed limitations to antibiotic use on livestock. The Food and Drug Administration on Wednesday "said 25 of 26 drug companies that were asked to phase out antibiotics to promote growth in farm animals have agreed to comply with the agency’s voluntary plan," David Pierson reports for the Los Angeles Times. The 25 companies make 99.6 percent of the targeted drugs. "Farms use about 80 percent of the nation's antibiotics supply, sometimes in healthy animals to speed up growth or prevent illness in unsanitary conditions," Pierson writes. "Their widespread application is being blamed for the rise of superbugs that afflict 2 million people in the U.S. and contribute to 23,000 deaths each year, according to the U.S. Centers for Disease Control and Prevention." Realigning and consolidating as many as 250 Farm Service Agency offices will improve service, Agriculture Secretary Tom Vilsack told the Senate Agriculture Appropriations Subcommittee on Wednesday, when members expressed concern about the Department of Agriculture's plan to close the offices, Chris Clayton reports for DTN The Progressive Farmer. Vilsack said 30 offices have no employees, 111 have one full-time or part-time employee, and another 100 one-employee officers are within 30 miles of another office, Claytonn writes. "Vilsack said the consolidation is about improving services by ensuring more cross-trained people will be at bigger offices to offer services." 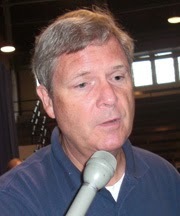 Vilsack told the committee, "This is about better service. It's not about services going away. It's not about consolidation for the sake of consolidation." (Read more) For an interactive map of FSA locations by state click here. The Nature Conservancy has developed maps to detail the migration of invasive species over time into Eastern U.S. waterways. The maps "show population increase and spread since the appearance of each species in the Great Lakes basin and beyond," Evan Kreager reports for Great Lakes Echo, a service of the Center for Environmental Journalism at Michigan State University. "The Republican-controlled House on Tuesday passed legislation blocking the Obama administration from issuing a rule intended to protect streams and the public health from mountaintop mining in Kentucky and other states," James Carroll reports for The Courier-Journal. "On a mostly party-line vote of 229-192, lawmakers approved a bill that would reinstate regulations issued during the George W. Bush administration that allow the coal industry to dispose of mine waste near streams and as a result, supporters said, would protect 7,000 mining jobs." The measure faces doubtful prospects in the Senate. One opponent of the bill, Democratic Rep. John Yarmuth of Louisville, "warned that the measure ignored the long-term environmental and health impacts of coal mining in Appalachia and other regions," Carroll writes. Yarmuth displayed a plastic bottle filled with orange-colored water to House members, saying, “This is what comes out of the taps in Appalachian communities where the water is contaminated by dangerous mine waste. It fills their wells and flows through the streams in their yards. It is the result of an inadequate law that is failing to protect public health and safety near mountaintop removal mining sites." The University of Wisconsin's Population Health Institute has released its annual county health rankings, funded by the Robert Wood Johnson Foundation. The rankings are twofold: health outcomes, which reflect the length and quality of life; and health factors, which influence the outcomes. The rankings are a good snapshot of a county's health status relative to other counties in the same state, and a good place to start in assessing a county's overall health. The factor rankings are based 30 percent on health behaviors (tobacco and alcohol use, diet and exercise, sexual activity), 20 percent on clinical care (access to care and quality of care), 40 percent on social and economic factors (education, employment, income, family and social support, community safety) and 10 percent on physical environment (air and water quality and housing and transit). The factors used in the rankings have changed somewhat over the years, some statistical modeling is involved, and statistical differences among closely ranked counties are so small that they may not be significant. Thus, the rankings should be viewed more as a general categorization of a county's health status than be used to make specific comparisons with counties that are relatively close in the rankings. To emphasize that, the rankings maps group counties in quartiles, or fourths of the whole. Complete results for any county and state can be found here. The Environmental Protection Agency and the U.S. Army Corps of Engineers on Tuesday released proposed new water rules that would put "more small bodies of water and wetlands under Clean Water Act protections," Alicia Mundy reports for The Wall Street Journal. The rules "would clarify which waterways are subject to federal pollution regulations based on a large scientific study on how discharges from smaller bodies of water—including streams that flow only at certain times of the year or wetlands that occasionally dry out—affect water quality downstream." The proposal was immediately "criticized by business groups, Republicans and a few Democrats," Mundy reports. The rules have also raised concern among farmers that EPA could expand its jurisdiction over streams, requiring farmers to obtain permits in cases where they have previously been exempt. Next week's County Board of Supervisors election in Iron County, Wisconsin (Wikipedia map) doesn't seem like something that would be of much interest to anyone other than the county's 6,000 residents. But the wealth of iron ore in the area has led Americans for Prosperity, a group run by billionaire businessmen Charles and David Koch, to attack on seven candidates that they deem “radical anti-mining” environmentalists, Steven Verburg reports for the Wisconsin State Journal. "At stake is a 15-member County Board that could make monetary and other demands of Gogebic Taconite, which is already deep into a sometimes combative state permitting process over its proposal for a huge iron mine that promises jobs while inspiring worries about environmental degradation," Verburg writes. But the attack has caused confusion, especially since the letter sent to 1,000 homes labels some candidates openly in favor of mining as "radical," Verburg writes. One said the mailer, which reads “Call these anti-mine radicals and tell them to stand up for you and your local jobs, not radical environmental policies,” listed his neighbor's phone number instead of his. With the March 31 deadline for open enrollment under federal health reform looming, a group of sociologists working with undergraduate students, university faculty and local health-care providers to implement the Patient Protection and Affordable Care Act in rural Central Pennsylvania decided to take a look at how it's gone, focusing on education, enrollment and evaluation. Pennsylvania did not expand Medicaid. While open enrollment might be accomplished most easily online, the researchers found that this wasn't true for all. "For many rural residents, access to computers and the Internet is a challenge, as are the skills to navigate computer-based systems," Jones and Green write. "Enter enthusiastic, tech-savvy college students. There are several small public and private universities in our area. Many of these students have little experience with the region, but they want to learn more. Helping with ACA enrollment gave them that opportunity." Jones and Green write that "Reaching our rural residents required us to pay attention to the social and cultural details of our area. We reached people through the classified-ads section of local newspapers, on local radio and television programs and through other social-service providers. We also heard from state legislators’ offices (all of which were Republican) who wanted help responding to constituents who were seeking assistance." It's an election year, and polls are flying to and fro. Some are worth writing about, some are not, and some are contradictory. Polls can be unreliable, or can conflict, for many reasons, and those are explored in studies published in Public Opinion Quarterly and excerpted in the latest edition of Journalist's Resource, a service of the Shorenstein Center on Media, Politics and Public Policy in the Kennedy School of Government at Harvard University. The latest study is “Public Misunderstanding of Political Facts: How Question Wording Affected Estimates of Partisan Differences in Birtherism,” the belief that President Obama was not born in the U.S. "Polling groups frequently found that there was a large partisan gap in terms of belief on the issue — that Republicans were much more doubtful of President Obama’s birthplace, sometimes exceeding Democrats by as much as 48 percentage points," Journalist's Resource notes. This is a good example of why, in my nearly 16 years as chief political writer for The Courier-Journal of Louisville, I always asked to see a poll's complete questionnaire, at least up to and including the last question for which a result was provided. That also lets you see the "voter screen," the question or questions that try to divine the real "likely voters" in an election; if the percentage of voters making it through the screen is nearly double the expected turnout, the screen is too loose. The pollster also had to certify in writing the poll's methodology (Live interviewers or computerized recording? Sample drawn from file of frequent voters or database of phone numbers? If the latter: Number of callbacks to reach the selected respondents?) and be available for follow-up questions. There are other questions that can be asked about polls; if you need to consult about one, or need help in analyzing one, you can call me at 859-257-3744 or send an email to al.cross@uky.edu. A 2014 study published in Public Opinion Quarterly, “Public Misunderstanding of Political Facts: How Question Wording Affected Estimates of Partisan Differences in Birtherism,” analyzes the structure of certain key polls in 2010 and 2011 that kept alive the misleading issue of President Obama’s origins. The study also provides results from a survey the researchers conducted in May 2011, after President Obama had released his long-form birth certificate to help settle the matter. Polling groups frequently found that there was a large partisan gap in terms of belief on the issue — that Republicans were much more doubtful of President Obama’s birthplace, sometimes exceeding Democrats by as much as 48 percentage points. For example, in April 2011 a CBS/New York Times poll asked a closed-ended question in such a way that produced a high degree of skepticism about President Obama’s origins, particularly among Republicans. The survey question read as follows: “According to the Constitution, American presidents must be ‘natural born citizens.’ Some people say Barack Obama was not born in the United States, but was born in another country. Do you think Barack Obama was born in the United States, or do you think he was born in another country?” The partisan gap revealed by this question (48 percentage points difference between Democrats, 19%, and Republicans, 67%) was larger than that produced by the four other surveys conducted during spring 2011 by other groups. According to the National Conference of State Legislatures, "Some 26 states are now considering enacting new voucher programs or expanding existing ones," Simon writes. "One concept that is gaining popularity, on the table in eight states: setting up individual bank accounts stocked with state funds that parents can spend not just on tuition but also on tutors or textbooks, both secular and religious. On Friday, the Arizona Supreme Court ruled the approach constitutional; lawmakers there are already working to broaden eligibility." The study, which evaluated federal survey data from 1996 to 2012 "found that affluent counties across the nation have experienced the biggest, and fastest, declines in smoking rates, while progress in the poorest ones has stagnated," Tavernise and Gebeloff write. "The findings are particularly stark for women: About half of all high-income counties showed significant declines in the smoking rate for women, but only 4 percent of poor counties did, the analysis found." Education also plays a role in smoking. "Americans with a high school education or less make up 40 percent of the population, but they account for 55 percent of the nation’s 42 million smokers," Tavernise and Gebeloff write. The smoking rate among adults has decreased 27 percent since 1997, but only 15 percent among poor people, and rates have not changed at all for adult smokers living in deep poverty in the South and Midwest. Understanding the risks of hydraulic fracturing to water sources can be a confusing process. A review by scientists at Duke University published last month in the journal Environmental Science & Technology breaks down those risks, making it easier to understand, and providing a helpful took for journalists covering fracking in the current oil and gas boom. Stray methane gas from formations could leak from improperly constructed gas wells into shallow aquifers. Metals or radioactive elements could collect in rivers and streams where partially treated wastewater effluent is released. Freshwater withdrawals for fracking could stress groundwater availability in drought-prone regions." Promoting rural tourism is as simple as having access to a camera and social media. That was the message Cory Ramsey, creator of the Facebook page Map Dot, Kentucky, delivered to the Southeast Tourism Society Spring Symposium Tuesday in Lexington. "Outside of big cities, we're full of unique places," Ramsey said. "My luxury is, when I travel I get to plug every single place in Kentucky. Every single downtown. Every single greasy spoon. Every single tree on the side of the road that looked good and I wanted to post a picture of." He said every state has its own unique places just waiting to be shared with the rest of the world. "People connect with rural America," Ramsey said. "You have a wealth of places that add to the mosaic that color the whole picture that add to the reputation of your state as a cool place." he said people have told him that they visited a town after seeing it featured on his site. A short visit opens the door to more, Ramsey said. Tourists who like an area will return, or might turn a day trip into an overnight trip, turning a one-day trip into two days, or turn a two-day trip into five days, staying longer to seek out other interesting sites in the area. "Get out there and drive the back roads and see where these places are," he said. "It's not just Kentucky. It's everywhere." The Business Roundtable and the U.S. Chamber of Commerce launched a campaign March 16 seeking conservatives' support for the Common Core State Standards in education by emphasizing their eventual benefits. The campaign includes TV spots and online ads featuring teachers expressing approval of the Common Core. The "campaign . . . aims to undercut dire tea-party warnings that the standards amount to a federal power grab, akin to Obamacare," Stephanie Simon reports for Politico. The Common Core, designed by states and accepted by 45 of them, comprises a list of standards for students' learning each year and is supposed to help better prepare them for college. It has faced considerable opposition, especially from tea-party activists. Primarily in deep-red states, thousands of business owners and executives are telling state lawmakers that the standards will improve the workforce and result in superior economy. "We're telling the legislature that this is our No. 1 issue," said Todd Sanders, CEO of the Greater Phoenix Chamber of Commerce. "We will be watching." According to a poll by Achieve Inc., which helped write the standards, "Nearly four in 10 voters still know 'nothing at all' about the Common Core," Simon reports. "Those who are aware of the Common Core tilt toward opposing it: 40 percent view the standards unfavorably, while 37 percent back them. That’s a sharp reversal from Achieve’s last national poll, in May 2012, when those aware of the standards tended to like them, with 'favorable' beating 'unfavorable' by a solid margin of 42 percent to 28 percent." One of the main debates surrounding the Common Core issue is standardized testing, which has both changed and increased with the implementation of the standards. Oklahoma "State Rep. Jerry McPeak, D-Warner, said most of the criticism he has received from teachers and administrators in his district has centered on too many tests being required rather than the standard itself," Randy Ellis and Tim Willert write for The Oklahoman. (Read more) In Tennessee, a move to drop Common Core had been deferred because writing a separate test would cost an estimated $10 million. Indiana has estimated its cost at $30 million. States' decisions not to expand Medicaid under federal health reform is putting pressure on rural hospitals, many of which are losing money and struggling to remain open, especially in the South. The solution for South Carolina's rural and critical-access hospitals is to look "for help from urban hospitals or large hospital chains in terms of merger, consolidation, affiliation or formal clinical cooperation agreements," Joey Holleman reports for The State newspaper in Columbia. "The national trend began years ago and has picked up steam in the Upstate in the past year." Charles Beaman, CEO of Palmetto Health, which owns six South Carolina hospitals, "said the dynamics of health care have been altered by the shift by insurance companies to more out-of-pocket expenses, putting more financial burden on the patients. Medicaid’s move to link reimbursements to quality of care, which in the short term often means more expense for hospital improvements" and the decision to not expand Medicaid, Holleman writes. The U.S. Supreme Court on Monday declined to hear an appeal by Arch Coal Inc. challenging the Environmental Protection Agency's retroactive veto of parts of an Army Corps of Engineers permit for what could have been the largest mountaintop-removal coal mine to date. At issue was the Spruce No. 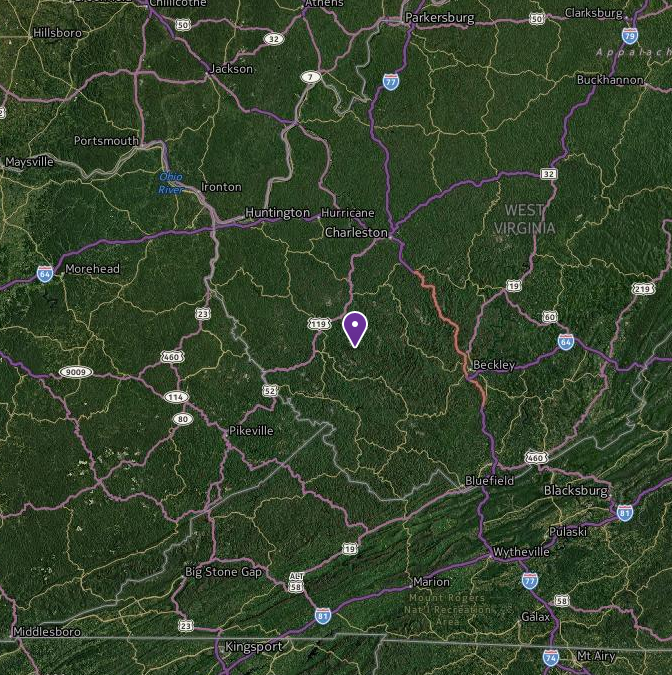 1 mine in central West Virginia, "which in 2007 received a permit from the Corps of Engineers to discharge material at nearby streams and tributaries," Brent Kendall reports for The Wall Street Journal. In 2009, after the Obama administration began, newly appointed EPA officials began efforts to modify or suspend the permit, "saying new information showed that dumping mining waste would impose unacceptable harms on water quality and wildlife." 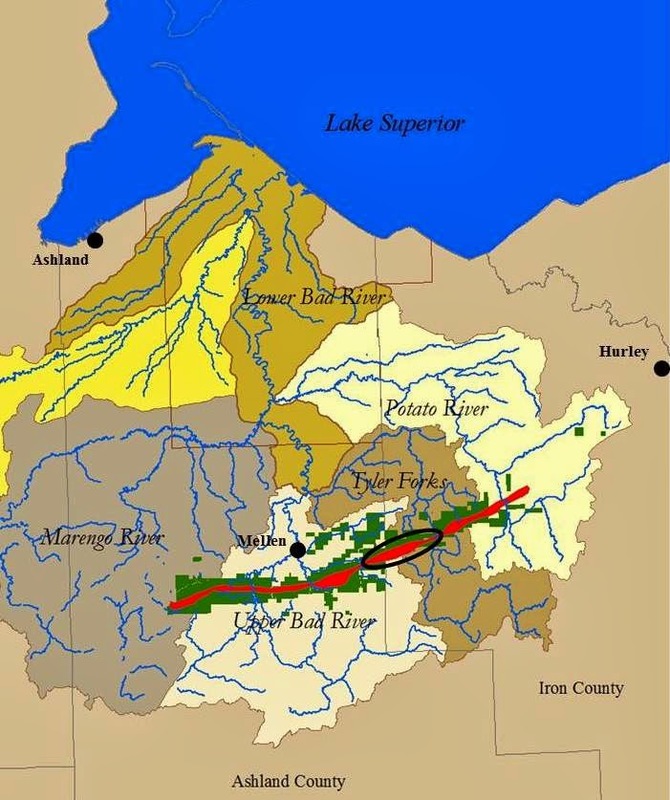 EPA's efforts prohibited Arch Coal's Mingo Logan subsidiary in 2011 "from discharging material into two of the streams that had previously been approved as disposal areas." In April an appeals court reversed a federal judge's decision, ruling that EPA legally rejected the permit. Meanwhile, Willie Nelson has come out against mountaintop removal with a video of mining and its pitfalls as he sings "America the Beautiful." The bipartisan effort to reshape the economy of Eastern Kentucky, hit hard by coal-industry layoffs, now has an executive committee, managers, an office and a nine-month action plan that won't gather dust on shelves, Democratic Gov. Steve Beshear and Republican 5th District U.S. Rep. Hal Rogers announced Monday at Hazard. "We have the elements to make it an ongoing, transformational process for Kentucky's Appalachian region," Beshear said of the Shaping Our Appalachian Region initiative. For a video of the event, click here. The 15-member executive committee includes Tom Hunter, former executive director of the Appalachian Regional Commission. He told the crowd, "We wouldn't have an Appalachian Regional Commission without Hal Rogers," who chairs the House Appropriations Committee. Charles W. Fluharty, president and CEO of the Rural Policy Research Institute, will serve as SOAR's interim executive director while the executive committee searches for a permanent executive director. The on-site managing director will be Donovan Blackburn, city manager of Pikeville, where a SOAR office has been established. Rogers called him "the most forward-looking person I know in Eastern Kentucky." Rogers said the key to the next few months will be working groups that will hold "listening sessions" on 10 issues, aiming toward a second regional summit in November. Former Gov. Paul Patton of Pikeville will chair a "Futures Forum" to frame and advance a long-term vision for the region. Rogers said the effort will also need money, and that will be up to a development committee headed by Pikeville banker Jean Hale, who told the crowd, "Kentucky needs to understand that it needs Eastern Kentucky for its success." UPDATES, March 25: The selections got a mostly negative review from Tom Eblen, columnist and former managing editor of the Lexington Herald-Leader. He said Fluharty's role is unclear, and "The list raised eyebrows not so much because of who was included as who was excluded, which was pretty much everybody outside Eastern Kentucky's establishment power structure," such as staff of the Mountain Association for Community Economic Development, "which has been working on innovative economic development strategies in Central Appalachia since 1976," and Kentuckians for the Commonwealth, and environmental and social-justice group that "has been working effectively in coal-dominated Eastern Kentucky since 1981." He concluded, "If they want new ideas and the broad public support and credibility SOAR needs to succeed, they must be willing to give some seats at the decision-making table to people besides Eastern Kentucky's Old Guard. Otherwise, SOAR won't be any different than the failed efforts of the past." Meanwhile, Rogers cited SOAR and mentioned "the great strides that we’ve made over the last three decades in education, healthcare and job creation" in a response to a National Journal article noting that his district ranked last in the Gallup-Healthways Well-Being Index. Despite living in one of the poorest and least healthy states in the nation, Mississippi residents are showing little interest in signing up for health insurance under federal health reform, Jennifer Haberkorn reports for Politico. With only two providers to choose from and relatively high premiums to pay, only 9 percent of eligible residents have signed up. "The effort in Mississippi illustrates the obstacles the health law must overcome in many parts of the country, particularly in deeply conservative areas where antipathy toward Washington mixes with challenges of geography, education and general skepticism or ignorance of the Affordable Care Act," Haberkorn writes. "High rates of poverty and disease — which mark much of this state — don’t necessarily aid recruitment. Add the strident opposition of GOP leaders and enrollment gets that much tougher." "Despite all the political rhetoric about a government-run health program, Obamacare relies on private insurers to sell policies on the state and federal exchanges. If there’s no insurance company, then there’s really no Obamacare," Haberkorn notes. That's been a problem in Mississippi, which statistically is "one of the unhealthiest states, topping the charts in all kinds of negatives such as obesity, diabetes, hypertension and cardiovascular disease — conditions that can be stabilized with treatment or kill without." Last summer most of Mississippi only had one provider, a local company that covered a third of the state, leaving "about 36 counties with about 1 million people, many with incomes low enough to qualify for federal subsidies," with no access to coverage," Haberkorn writes. Attempts to recruit insurers didn't fare well, with Blue Cross Blue Shield and United HealthCare turning down offers before Humana Inc. agreed to expand from four to 40 counties. In 2012, the rural population of the U.S. declined for the first time, according to the Economic Research Service of the U.S. Department of Agriculture. One state trying to change that trend is Kansas, where Republican Gov. Sam Brownback has initiated the Rural Opportunity Zones program, which pays college graduates up to $15,000 over five years to move to counties that have experienced population loss, and waives income tax for people moving from out of state. A feature on PBS Newshour takes a closer look at the state's circumstances, and reports that "Jobs and people have been disappearing from rural Kansas and most of the Great Plains for the last 80 years." One reason was the Great Depression, and the other was the introduction of mechanized farming in the 1960s, which reduced the number of farms and the need for human workers. About 600 students from the state's 37 rural counties attend the school, down from 1,017 in 2003 and 1,048 in 1993. Over the past five years, 23 of those counties—mostly in the southern and western parts of the state—have sent an average of two or fewer students to any of the school's three campuses.